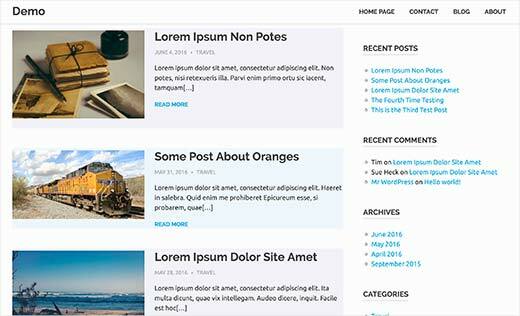 Do you want to add Odd and Even classes to posts in your WordPress theme? Adding an odd and even class allows you to style every other post differently. 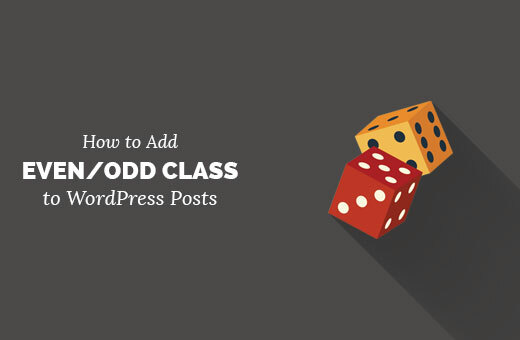 In this article, we will show you how to add odd/even class to your post in WordPress themes. Why Add Odd/Even Class to Your Posts in WordPress Themes? Many WordPress themes use an old or even class for WordPress comments. It helps users visualize where one comment ends and the next one begins. Similarly, you can use this technique for your WordPress posts. It looks aesthetically pleasing and helps users quickly scan pages with lots of content. It is particularly helpful for homepage of magazine or news websites. 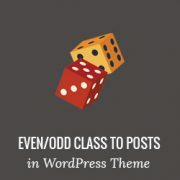 Having said that, let’s see how to add an odd and even class to your posts in WordPress theme. WordPress generates default CSS classes and adds them to different items on your website on the fly. These CSS classes help plugin and theme developers add their own styles for different items. WordPress also comes with a function called post_class, which is used by theme developers to add classes to post item. See our guide on how to style each WordPress post differently. The post_class is also a filter, which means you can hook your own functions to it. This is exactly what we will be doing here. This function simply adds odd to the first post, then even, and so on. You can find the odd and even classes in your site’s source code. 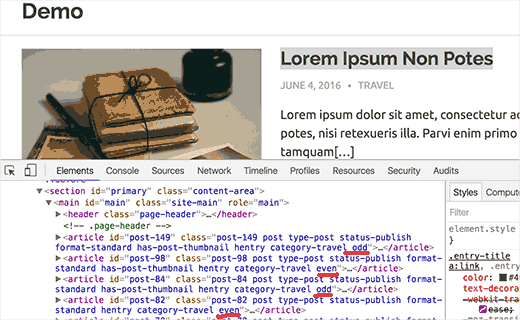 Simply take mouse to a post title and then right click to select Inspect or Inspect Element. Now that you have added even and odd classes to your posts. The next step is to style them using CSS. You can add your custom CSS to your child theme’s stylesheet, or by using Simple Custom CSS plugin. If you don’t know how to use CSS, then you may want to check out CSS Hero. It allows you to add CSS to any part of your WordPress site without writing any code. We hope this article helped you learn how to add odd/even class to your posts in WordPress themes. You may also want to see our guide on how to style your WordPress comments layout. I was trying to make this work on my test site, where I work with Elementor and Astra. For some reason, once I add the code – everything colors with the “odd” color, and I don’t understand why. Can you help me sort it out, please? My Blog Name WayTrick. It a Blogger Blog. Now I want to my blog Tansfer to wordpress. How do it? Please see our guide on how to switch from Blogger to WordPress. This seems not working in Genesis framework? Any additional code needed to add? Ok good function, but css style? Thanks for this. Just what I needed. How could I take this a step further and target a specific post category? I have a custom post type – testimonial, and I only want odd/even styling in that section. This is by far the easiest method of creating odd and even posts for wordpress!! Thanks so much for sharing! Thanks a Lot for sharing this ! ! @Daniele Zamboni These are CSS classes that you can add for styling purposes.